Wonderful 2BR/2.5BA end unit, Q-1, is beautifully updated with GRANITE kitchen counters, lighting, decorative solid surface furniture-style vanities in all baths. Powder bath has extra storage. Entry foyer with coat closet, great room with fireplace, ceiling fan and beautiful laminate flooring. Dining area opens to rear patio with outdoor storage. Bedrooms have walk-in closets, private baths & tile flooring. Large master includes a sitting area & beautiful bath. Stainless steel refrigerator remains as-is. Attic access, 2 parking spaces. Pool, Clubhouse & Tennis. 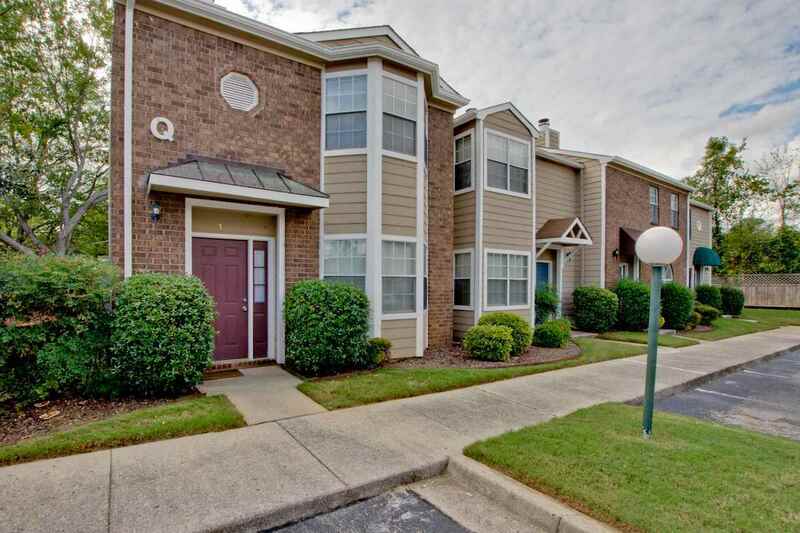 Just minutes from Redstone Arsenal Gate 3, shopping, dining and new Grissom High School. Why rent when you could own! View today!